Cycling is a delightful way for experienced and novice cyclists to gain real insights into this wonderful country and its people. Our tours are suitable for all ages (youngest so far is age four and eldest seventy-nine) and levels of experience (providing you can ride a bike) . 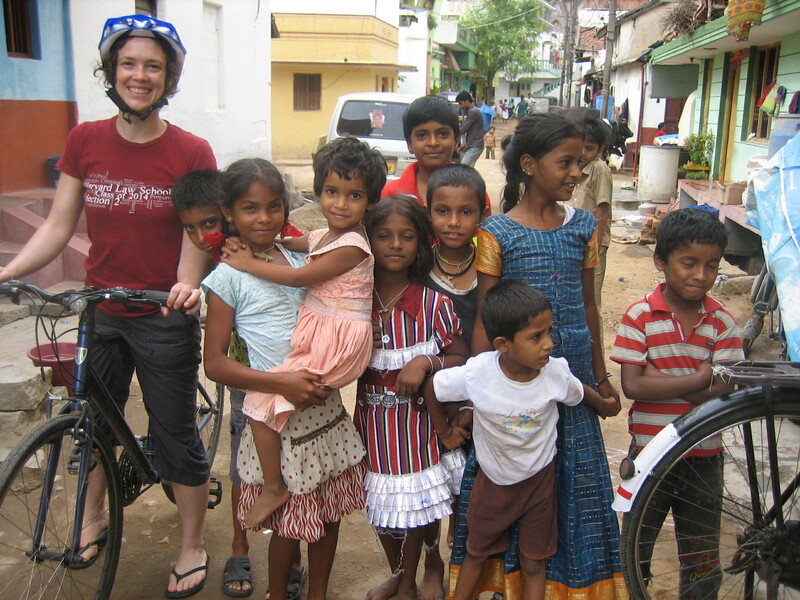 Families have regularly toured Srirangapatnam where we have small cycles, tag-along and have now introduced a cycle seat for toddlers. Our tours last for over four hours and cover 12-14 kms. They offer an intimate introduction for 2-4 people. Individual tours can also be arranged. Our tours of Srirangapatnam focus on the historical fort, the island and include aspects of local culture and religion. They take in both tranquil and sometimes hectic, lovely riverside locations and can be in the morning or the afternoon. It’s constantly changing but currently is a popular mix of town, village, farm and fields…… and so provides valuable insights, a meandering tour and the opportunity for great conversations. Srirangapatnam is just 30 mins from the centre of Mysore and Vasanth, or one of our friendly fare’s fair auto-rickshaw drivers, can be booked to take you out there. Why not make it into a full day? After the tour have lunch at the riverside and then go inside the summer palace or temple with the auto rickshaw. Our personal tours can be arranged any day, anytime of the year, for half or a full day with a flexible early morning start between 7-8 am or after lunch and can sometimes be arranged to start at your hotel. They will be tailored to individual interests. Please do ask for more information if you are interested in these special tours. ~ mix of the Mysore and Srirangapatnam tours to create a full day tour complete with lunch in a riverside location. 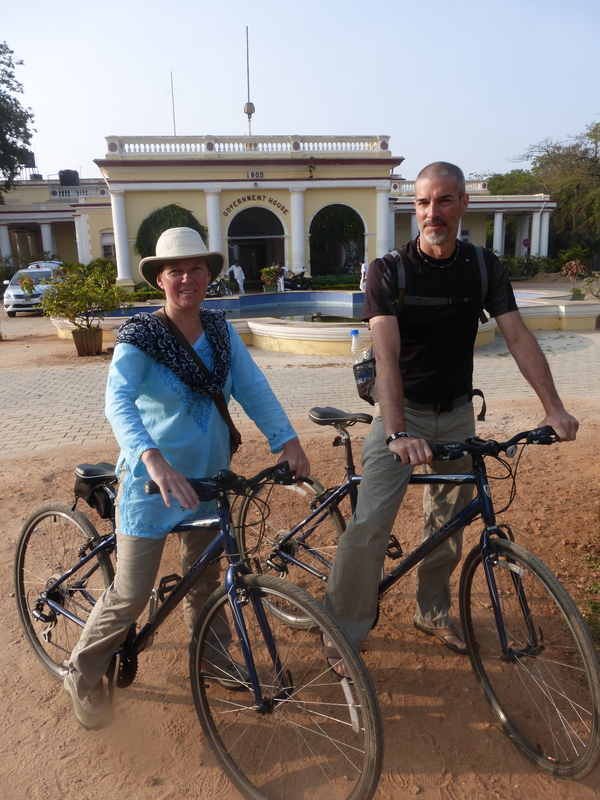 ~ full day in Srirangapatnam with riverside lunch and visit to the bird sanctuary. Tandem Tours are also now available. 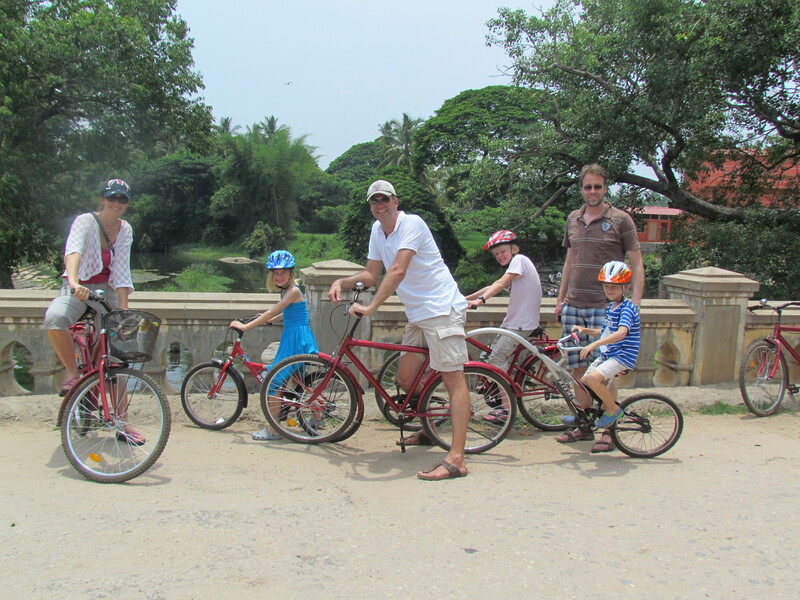 We can also offer tiffin picnic lunch, babysitting and our cycles can be adapted to carry toddlers and young children for the srirangaptnam tour. Our Child friendly cycles include tag-a-along, child seat, small adult and children’s. 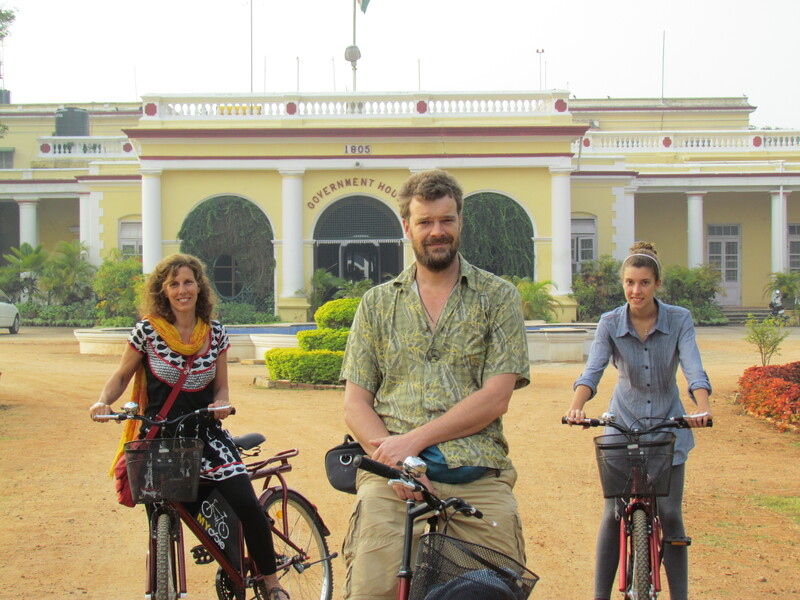 For guests of Mysore bed and Breakfast who have been on a MyCycle Tour, when they are available, our cycles can be borrowed for personal trips in Mysore.